Full-service hotel. 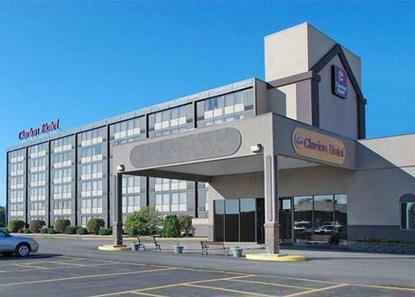 Minutes from airport and other major businesses. 15,000 Square feet of meeting space. Indoor heated pool, whirlpool, sauna, fitness center and business center. FREE Deluxe Continental Breakfast with hot items like make-your-own-waffles, bacon and scrambled eggs offered Mon - Fri from 6 am until 9 am. Free Continental breakfast served Sat and Sun. Pet Accommodation: 15.00/night plus Pet deposit: 100.00 refundable. Pets are only allowed in smoking rooms.